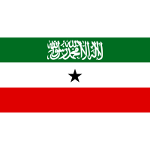 The Republic of Somaliland is a self-declared state internationally recognized as an autonomous region of Somalia. Despite its lack of international recognition, Somaliland is a de facto state that celebrates its Independence Day on May 18. During the colonial era, the territory of the present-day Somalia was divided between the United Kingdom and Italy. In 1960, British Somaliland and Italian Somaliland united to form the Somali Republic. Neighboring French Somaliland (now known as Djibouti) declined to join the newly independent state in favor of a continued association with France. In 1986, the country’s government became increasingly totalitarian, which caused opposition to grow. Eventually the tensions between the government and the opposition lead to the horrible Somali Civil War that has torn the country apart. Today, Somalia is a failed state consisting of numerous parts controlled by various insurgent groups. Somaliland is one of the most stable state formations within Somalia. Officially recognized as an autonomous region of Somalia, it declared independence on May 18, 1991. Despite its lack of official recognition, Somaliland has informal political contacts with several countries including Ethiopia, Djibouti, South Africa, Sweden, and the United Kingdom. Independence Day in Somaliland is celebrated annually to mark the declaration of its independence from the rest of Somalia. The main celebration is held at Somaliland's capital of Hargeisa.